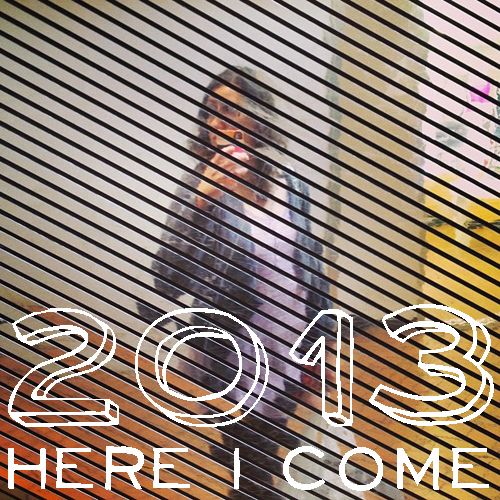 So, it’s the start of 2013. That’s going to take a while to get used to writing, huh? I didn’t celebrate in a very momentous way. I had a stomachache and stayed in. I also didn’t make any resolutions…I don’t like declaring that I’m going to do stuff only to fall short, but I can make better life choices overall, like cleaning my furball-infested abode and eating better…chicken, rice, and broccoli for dinner, which I would call a good start. The chocolate chip cookies I made for William (cough, cough), not so good. I spent part of my day organizing. If there’s one kick in the pants I get at the beginning of the year, it’s that I am sick and tired of being a cluttered mess. I don’t know if this will be the year where I get it under control, but I’m going to try to be better. Both me and William have to be! This is how I would describe my mood today (via 9gag.com)! Haha. I didn’t get too distracted for too long, I seeing old things I stashed away! 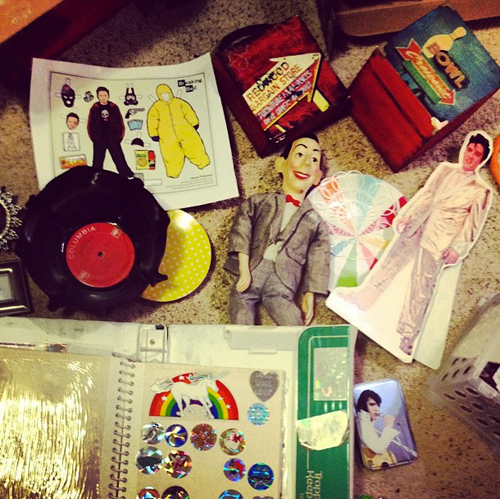 I could look at sticker albums and make PeeWee voices all day! And this is my DIY project for the day. William put up my big “O” and I added a mirror to the inset. He doesn’t like all the holes, but I don’t mind them. What do you think? Does it just look dirty or should I give it a new coat of paint? 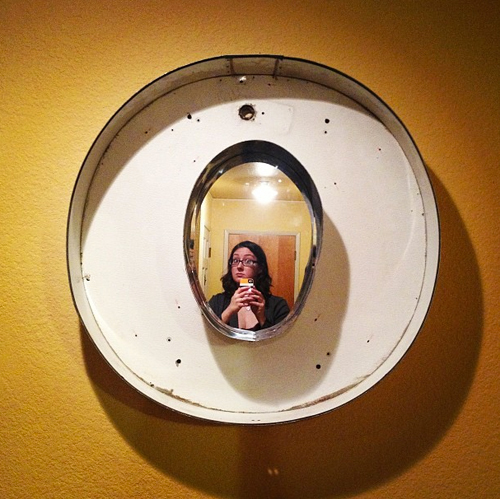 Admittedly, I haven’t been so great about blogging these days, but I do like to share photos on Instagram! 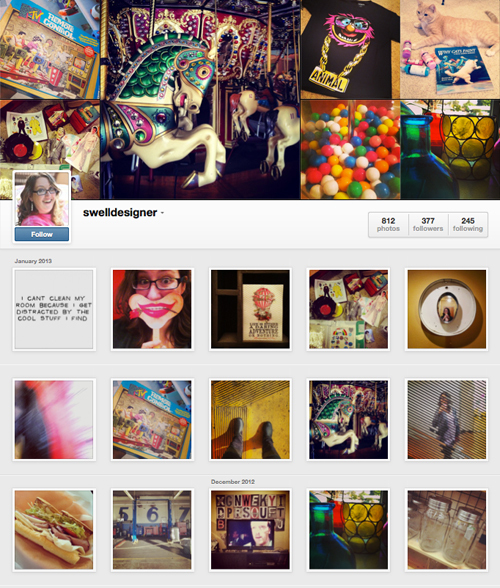 So please follow me if you are an iPhone or Android user, or you can look at the Swelldesigner Instagram photos here!